“Don’t push me cause I’m close to the edge. I’m trying not to lose my head, ah huh-huh-huh…” Or so the song goes. 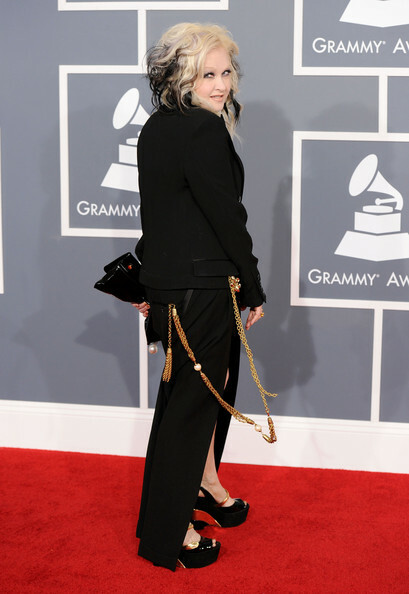 It seems there were few grand masters and a whole lot of band-masters, complete with flash, at the Grammys last week. 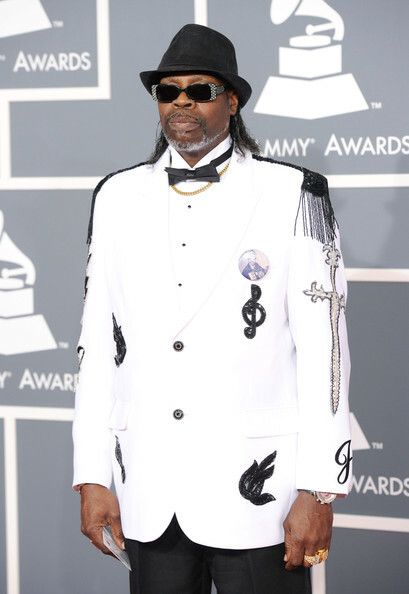 CJ Chenier marches forth on the red carpet in black and white attire, fitting of a Love Boat captain. 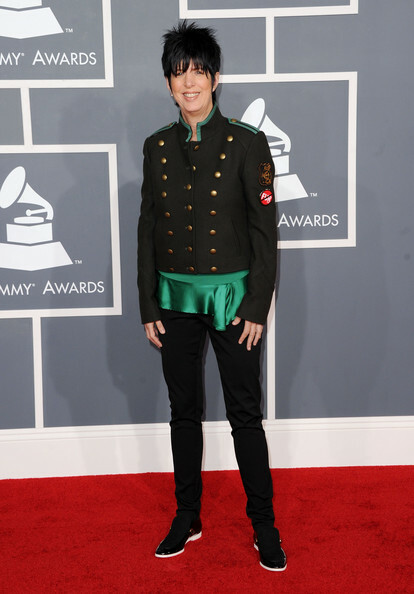 Diane Warren does a little '80s musical military. I can hear the strum of the guitar in the background. 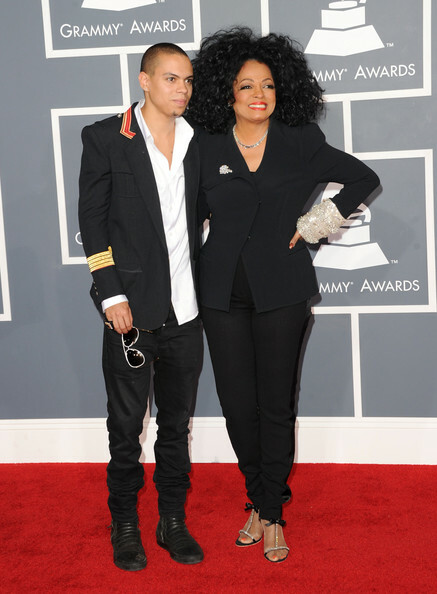 Ms. Ross, with her son, Evan, simply meander (not march). I'm pretty sure that hair wouldn't pass military muster, anyway. The grand mistress of flash. Military trim, that should have been um, trimmed. I applaud the lack of epaulets, but violet velvet dictates marching band mode to me. Did we really need to embellish with crystals/diamonds and a matching bow tie? Oh, and if you think you are having a déjà shoe, you really are. Red carpet photos by Jason Merritt/Getty Images North America; lyrics from “The Message” by Grandmaster Flash. Previous Post Give Me a Break!